Veteran Angela Cody-Rouget relied on many vet-specific programs to help her rebrand and expand her franchise, Major Organizers. Air Force major Angela Cody-Rouget was once responsible for America’s nuclear arsenal. She was a missile launch officer, stationed inside an underground control center. The job required a mastery of endless systems and protocols, and she felt she’d gotten a lesson in “organized chaos.” So when it was time for her to transition into civilian life about a decade ago, she decided to play to her strengths: She’d build a business around being organized. “When I got out of the military,” she says, “I just walked away.” She had her eye on private industry and figured the government would be of no help. In 2006, she launched a company called Major Mom. It began as a fleet of professional organizers across Colorado and Arizona, who go into homes and “liberate” them from their mess. As her company grew, she wanted guidance on how to expand it into a national franchise -- and that’s when she discovered that her initial assumption was wrong. The government, in fact, was trying to help its veterans set up businesses. And so were many other organizations. In the past decade, a wide-ranging network of services has developed to assist people exactly like Cody-Rouget -- educating, funding and mentoring vets turned entrepreneurs to help them succeed in businesses, and franchising in particular. The federal Small Business Administration (SBA) has a robust program; its two-day Boots to Business basics course is offered on military bases and has been attended by 20,000 troops transitioning out since 2013. Overall, there are now more than 14,000 organizations, universities, private philanthropies and nonprofits helping veteran entrepreneurs in the United States. The momentum can be felt even in typically slow-moving corners of government: In 1999, Congress passed the Veterans Entrepreneurship and Small Business Development Act and rolled out 13 regional Veterans Business Outreach Centers (VBOC) across the U.S. These spaces offer training as well as connections to mentors and financing. In the coming year, six more centers are expected to open -- a 46 percent increase. “I didn’t know the SBA and other groups had veterans programs,” says Cody-Rouget. But once she discovered them, she quickly enrolled in multiple classes and began growing Major Mom into something even bigger. As a group, veterans have long been known for their entrepreneurialism. There’s good reason: Vets are disciplined problem solvers and have learned to thrive within rigid systems. According to one study, 49.7 percent of World War II veterans started their own small businesses, 40 percent of Korean War veterans became entrepreneurs and 33 percent of Vietnam vets have owned or operated a business. But until recently, veterans had to use civilian business resources. Today’s generation of vets is entering a different world. Misty Stutsman, director of the Center of Excellence for Veteran Entrepreneurship at Syracuse University’s Institute for Veterans and Military Families, says the current abundance of vet-specific resources has created a golden age for what the industry calls “vetrepreneurs.” (Yes, for real.) There was no one trigger for this but, rather, a confluence of cultural events: We’re living in a startup-friendly culture and seeing a surge in outreach programs focused on post-9/11 veterans. “These two worlds have collided, and you see more and more support structures popping up,” says Stutsman. Approximately 200,000 people now rotate out of the U.S. military every year -- which translates to a lot of qualified job seekers. Many decide to create their own jobs. The SBA says about one in 10 small businesses today in the U.S. is launched by a veteran. 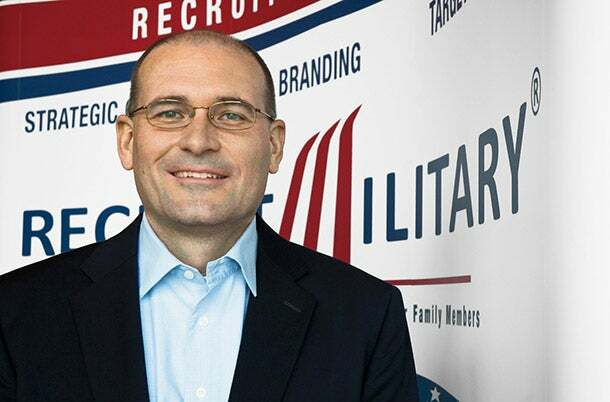 Mike Francomb, senior VP of development at RecruitMilitary, connects vets with franchise brands. Many programs also focus on education, providing the necessary skills to run a business while helping vets navigate the gray areas of the business world after living in a black-and-white military system. Often, vets in these programs discover lessons they didn’t even realize they had to learn. “I thought I’d just jump into business,” says Jeff Gural, a former Marine, longtime member of the National Guard and police officer. He finally left the military this year, three years after he’d started his path to entrepreneurship. He began by enrolling in a three-month Veterans Launching Ventures course at Fairleigh Dickinson University, in Teaneck, N.J. “It taught me that a business plan is the crux of an entire business. It helped decide what kind of company I wanted to start and exactly what I needed to do.” With that information in hand, he bought a Signal 88 Security franchise in Camden, N.J., which provides security personnel for events, private companies and facilities. It’s a business that suits his blend of his military and police experience and newly acquired business skills. With so many resources available, veterans are faced with a new dilemma: Which program to choose? “There are so many high-quality, free small-business training resources available to service members, veterans and their families,” says Meghan Conroy Florkowski, a former Army engineer and director of entrepreneurship programs at the Institute for Veterans and Military Families program at Syracuse. The key is finding them, which is why her colleague Stutsman is currently compiling every program into one resource, so veterans can find the ones that are right for them. Cody-Rouget, of Major Mom, enrolled in several programs -- all of them free. She won a business-plan competition sponsored by the Women Veteran Entrepreneur Corps, an initiative started by Nell Merlino, the founder of Take Your Daughter to Work Day. She took Vet to CEO’s online course, which helps design or refine business plans, and SBA’s eight-month classroom-based leadership course. To find free resources and educational programs, loans, grants, business plan competitions and mentors, vets can begin by calling their regional VBOC.